Many new christening outfits in stock! 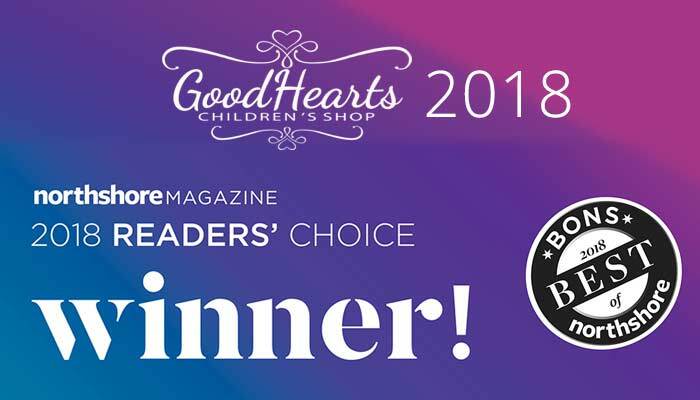 For over 15 years, GoodHearts, located in the vibrant business center of downtown Reading, MA, has offered a broad selection of premium quality traditional and contemporary baby and children’s clothing, gifts and accessories. We offer high quality and hard to find baby, toddler and children’s clothing and accessories for girls and boys. In addition to our everyday fashions, we carry special occasion clothing and head to toe christening and baptismal outfits. Receive specialized attention while you find that perfect shower gift or birthday party dress. Choose from many unique and personalized gifts. 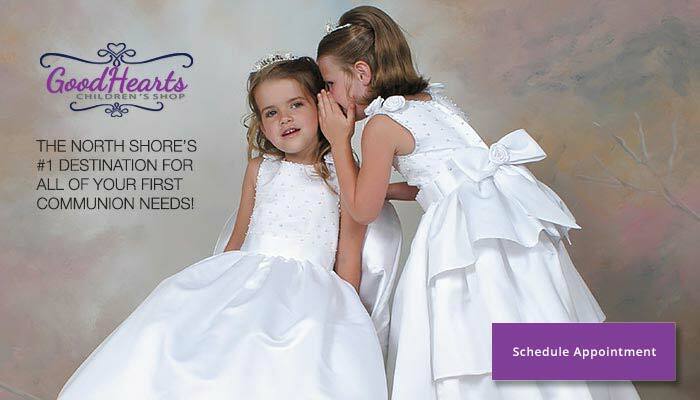 We carry a wide variety of premium brands to cover all special occasions, flower girl, first communion, party dresses and the finest infant apparel.